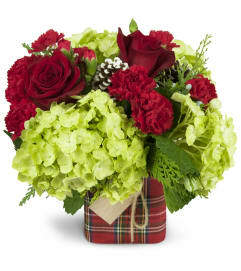 Our classic Christmas centerpiece could be one of yours! 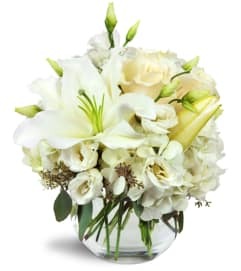 Beautifully arranged using fresh, crisp blooms in the signature colors of the season—white lilies, red roses and more—our original display is accented with a fragrant mix of evergreens and pinecones. 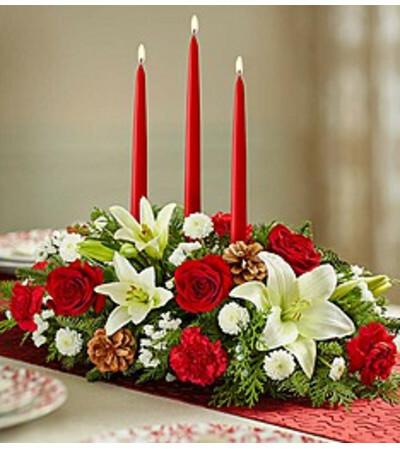 And for a finishing touch, our florists add a red taper candle, creating a warm and festive glow for all your celebrations!